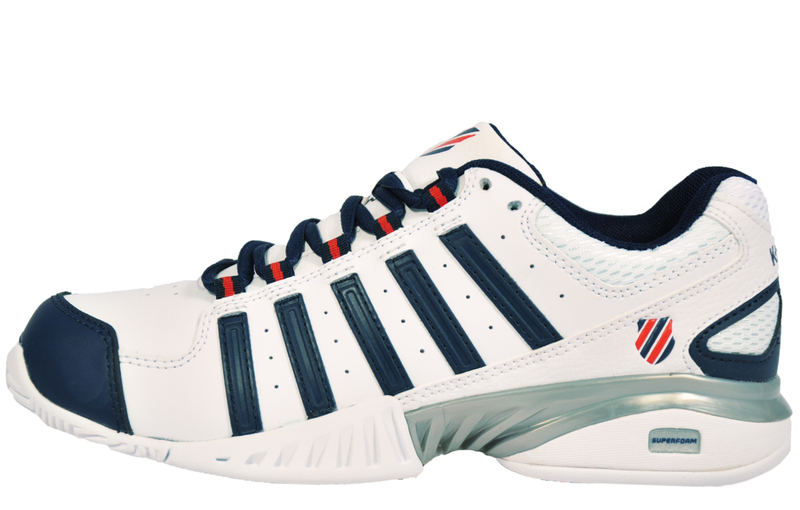 A classic and timelessly modern looking shoe from K Swiss, with bold detailing and a classic silhouette, the K Swiss Receiver is the ideal choice for those looking for a comfortable, cushioned and highly durable court trainer that makes an impact in looks and performance and can apply itself on the court, in the gym or on the street. 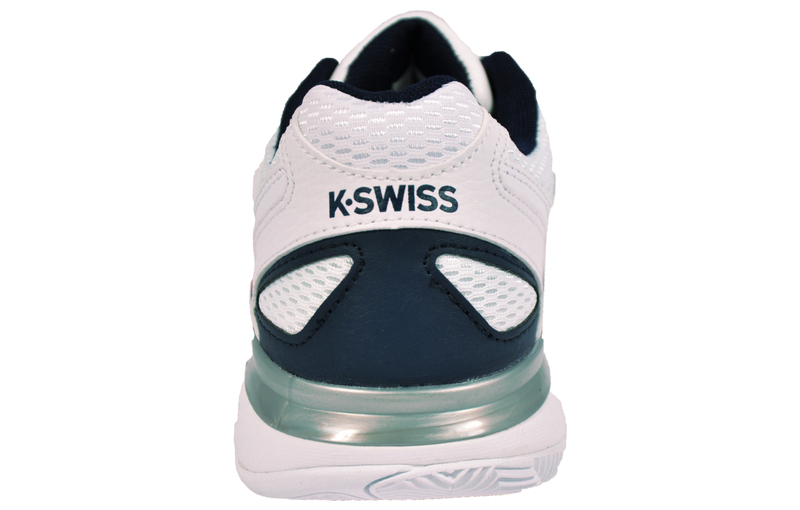 The K Swiss Receiver offers a sturdy and responsive ride with great cushioning provided from the Shock Spring cushioning technology. 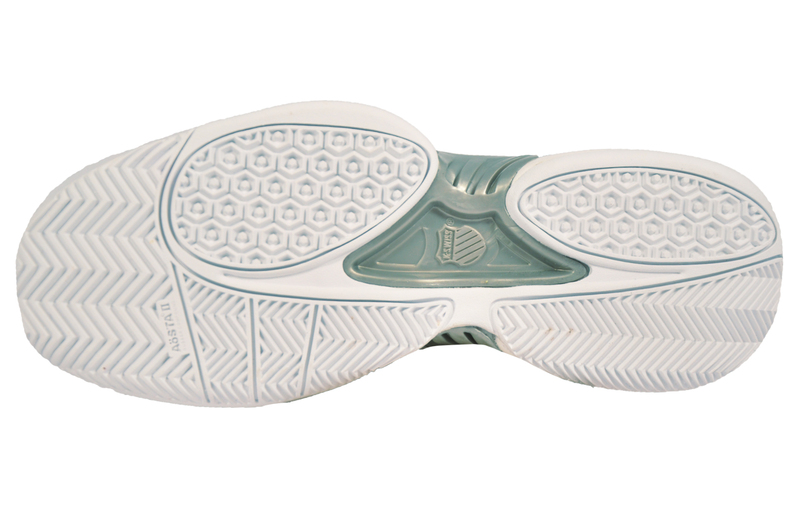 The herringbone tread design makes this shoe the ideal choice for your next workout, giving superb grip and traction on a wide variety of surfaces. 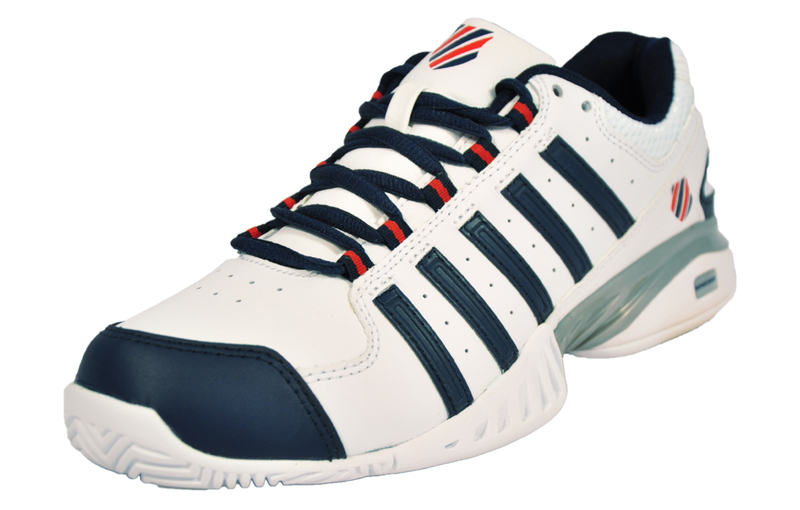 The perfect shoe for the tennis player or fitness enthusiast who wants the ultimate in cushioning and durability. 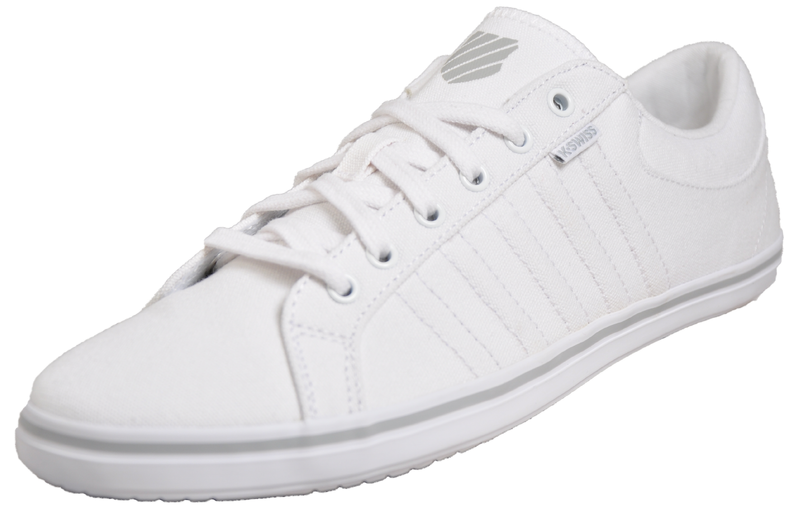 Made from a highly durable premium white leather the Receiver is built to last and performs as good as it looks. 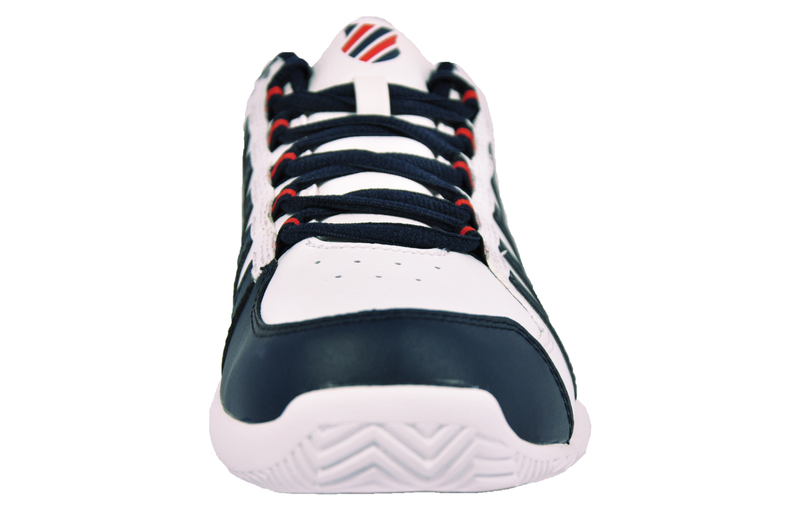 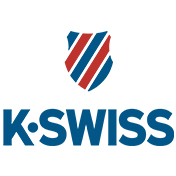 With the classic K Swiss 5 stripe detailing featured to the side upper, this white, navy and red colourway features a simplistically bold design and is both modern and classic. 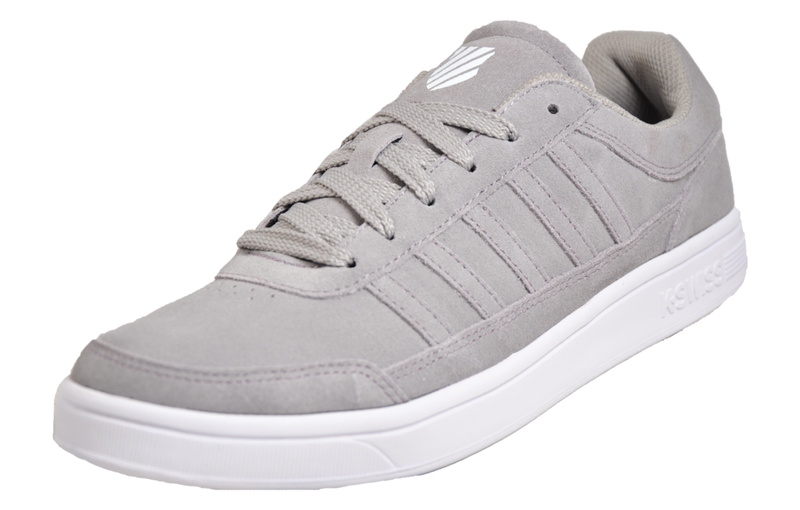 The K Swiss Receiver whilst still retaining its stunning looks if, is a men’s trainer that will take your court game or fitness workout to the next level.